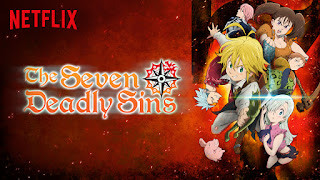 In the kingdom of Liones among the Holy Knights charged with protecting the kingdom there was an order of Holy Knights who were the strongest and cruelest of them all called The Seven Deadly Sins. This group would be framed for murdering the head Holy Knight and be disbanded and branded as traitors to the kingdom. They were called The Seven Deadly Sins because each one had previously committed a heinous crime and sentenced and judge by the kingdom of Liones before joining the group. They also each take on the characteristics of the sin they are judged by. I could go into huge detail on each but that would ruin part of watching the anime. So I will just briefly describe each. 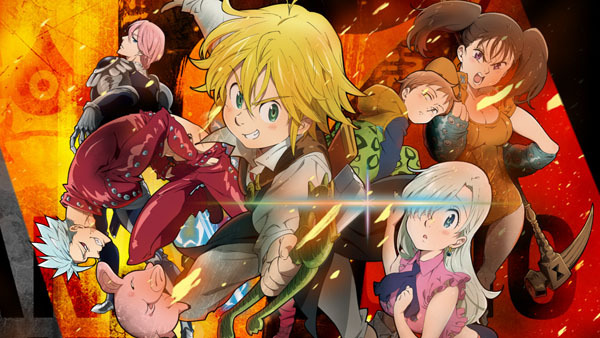 Meliodas the leader while carefree and cheerful would when provoke take on the sin of wrath. Diane the giant was always envious of other women that tried to get close to Meliodas and took on the sin of envy. Ban the immortal would take on the sin of greed. King who is a fairy but holds back on his strength and responsibilities takes on the sin of sloth. Gowther who takes on the sin of lust i still have yet to figure out why he fit that one. The same with Merlin as she takes on the sin of Gluttony. In the first season of the anime we don’t get introduced to the sin of pride. 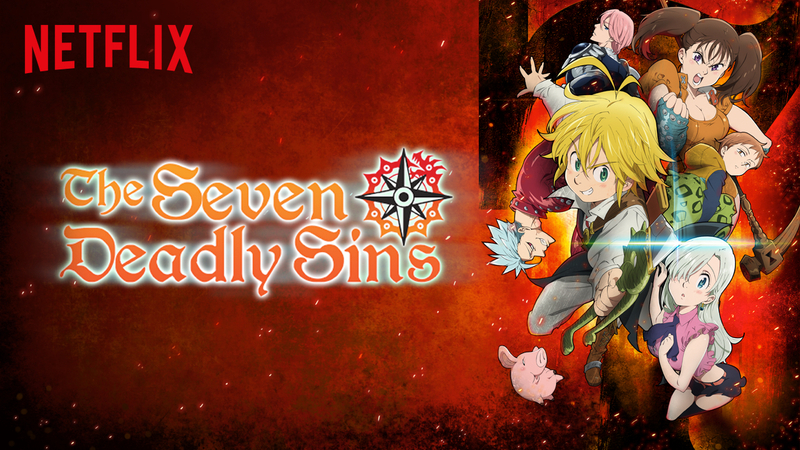 So when the kingdom of Liones gets taken over by the Holy Knights the deposed princess sets off on a quest to find the disbanded Seven Sins. She hopes in finding them they will help her take back her kingdom. She happens upon Meliodas the leader while in a tavern and he protects her. When she finds out who he is she asked him will he help her find the remaining 6. He agrees and they set off on their journey. I stumbled upon this anime while I was bored and searching through Netflix for something to watch. This anime popped up on the recommended list and I decided to watch it. This anime turned out to be a pleasant surprise and I am eagerly waiting the second season so I can finish finding out about each of the members. Each character's back story is rich with history, and intrigues. Some of the characters backstories intertwine with each others and shape out who they become and their future relationship. If you're looking for an anime to watch this one is a good watch.